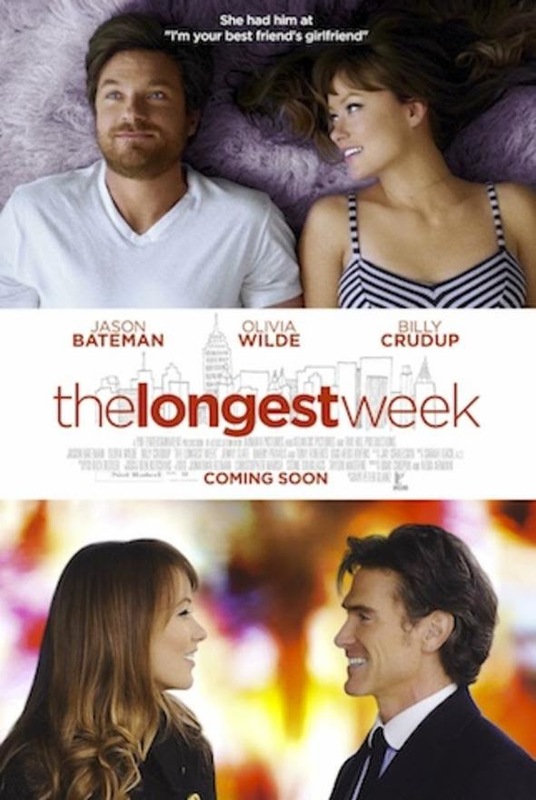 The Longest Week (2014) is a situation comedy drama movie directed by Peter Glanz and it's the first Yash Raj Films venture into Hollywood as the movie is produced by Uday Chopra and Neda Armian. The movie starts Olivia Wilde, Jason Bateman, Billy Crudup in the lead roles. Olivia Wilde looks beautiful in this movie. The movie is a story about a rich boy as his inheritance of a hotel is divided among his fighting to-be-divorced parents and he is thrown out of the hotel for a week. He then stays with one of his friends and falls in love with the girl who his friend also loves. It's his fight to survive amongst all odds and still live the luxurious lifestyle he is used to makes the context of the story. The conversations between the Jason and Billy characters are funny and only part that keeps you engaged to this movie. The movie has nothing great to offer unless you want to see some of the good cinematography. The acting part is nice but the story is old. The movie is very slow and requires a lot of patience to keep watching it. You can wait for it to be played on TV or can totally avoid the same also. Movie got released on Ster Kinekor on 28th Nov 2014. More info on twitter and facebook.